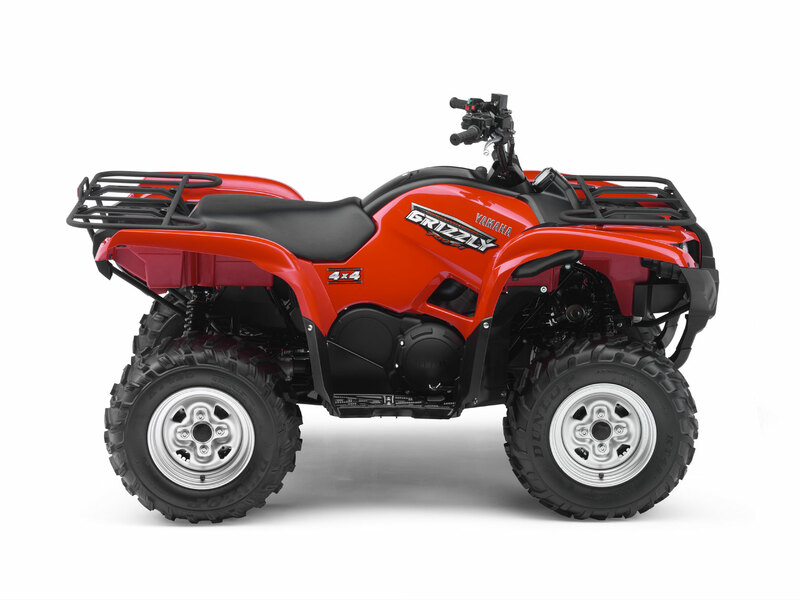 Still one of the best selling ATV’s in North America. Since 1998 Yamaha’s Grizzly has dominated the ATV food chain. 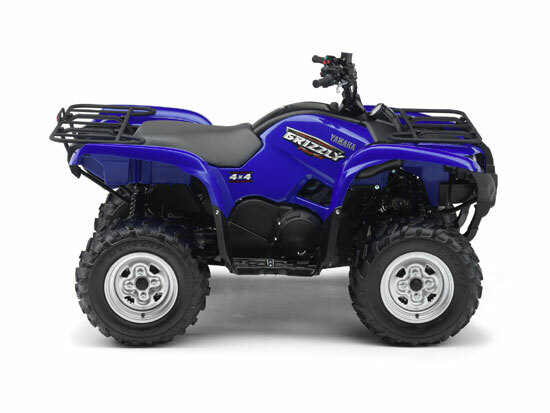 With industry exclusives like the Ultramatic Transmission, On-Command 4-wheel drive system, 4 wheel disc brakes and Electric Power Steering (EPS), this 2009 Yamaha Grizzly 700 FI EPS is the benchmark that others are measured by. While the current industry trends are leading to large, lumbering behemoths, Yamaha has chosen a higher trail. 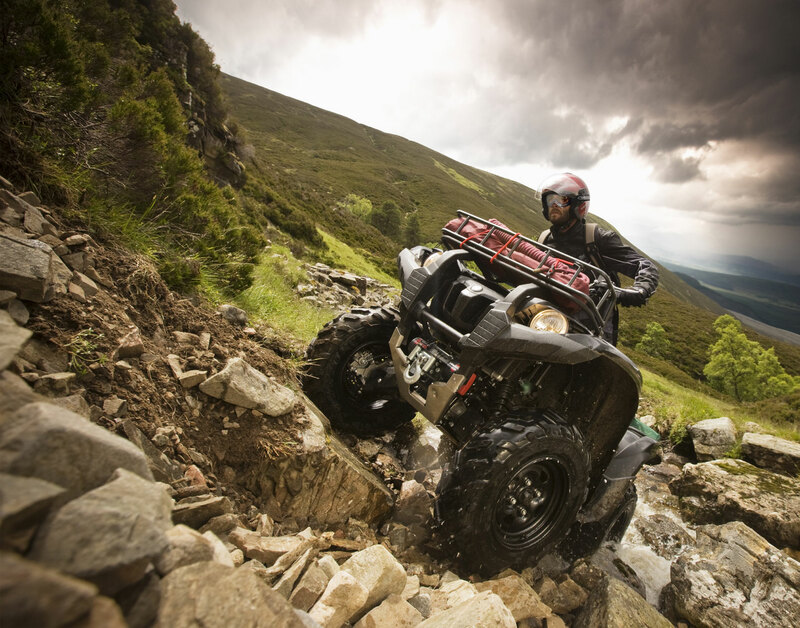 The Grizzly 700 FI concept focuses on lightweight handling and lightening response. From the compact Raptor based EFI engine to the Yamaha EPS (Electronic Power Steering) system, every fiber of this new bear has been created to outperform all others with less effort and more control than you ever thought possible. With a host of features designed to improve agility, terrain-ability and ride comfort, the Grizzly 700 FI EPS raises the bar yet again for 4 wheel drive ATVs. Raptor based 686cc fuel injected engine. 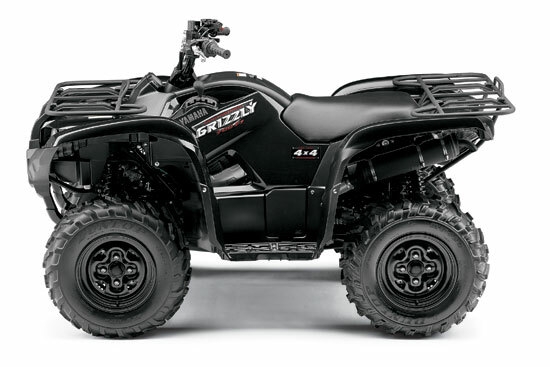 Most powerful Grizzly ever: 686cc liquid-cooled, four-stroke engine and light weight add up to the best power-to-weight ratio of any utility model in the industry. Electronic fuel injection means instantaneous cold starts and optimal performance in all conditions and at all altitudes. Industry first: Electronic Power Steering system lightens steering for superior comfort and terrainability. Industry-exclusive, three-position On-Command® In/Out 4WD feature lets you switch between 2WD, limited-slip 4WD and fully locked differential 4WD — all with the simple push of a button. Trick digital instrument panel boasts a multifunction LCD display with speedometer, odometer, dual tripmeter, hourmeter, 4WD status, transmission position, clock and fuel gauge. Raptor-based four-valve combustion chamber design produces a potent combination of low-rev torque, right-now throttle response and high horsepower. Electronic fuel injection provides a perfect fuel/air mixture regardless of temperature or altitude, and makes cold starts a snap. Gear-driven crankshaft balancer shaft and new-design rubber-damper engine mounts reduce vibration. Pushbutton electric start with seven-disk torque-limiting damper assembly protects the starter motor. Straight driveshaft layout eliminates U-joints for reduced friction, vibration and maintenance. High-capacity aluminum radiator with fan-assist delivers maximum cooling efficiency and is positioned high in the frame for optimal protection. Override button allows engine to make maximum rpm in full Diff Lock mode. Sealed drive case keeps out water and debris to help prevent belt from slipping. Comfortable chassis provides outstanding handling and maneuverability. 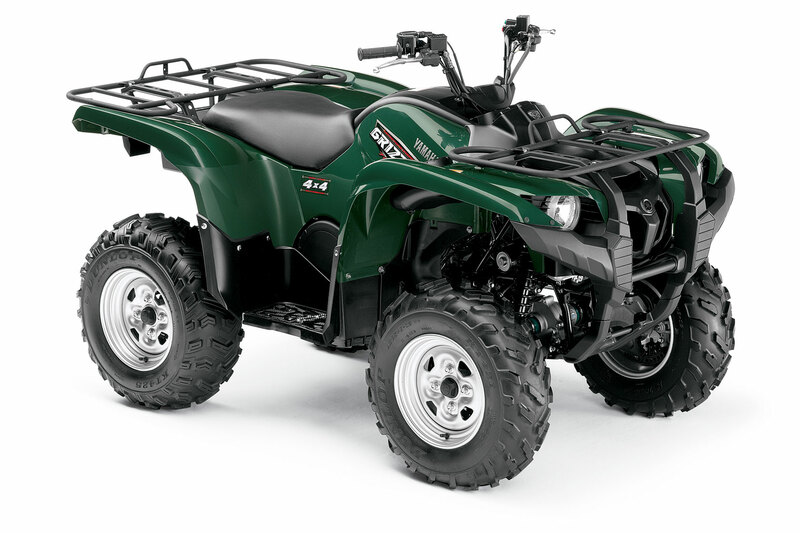 Lay-down-style front suspension A-arms provide outstanding ground clearance. 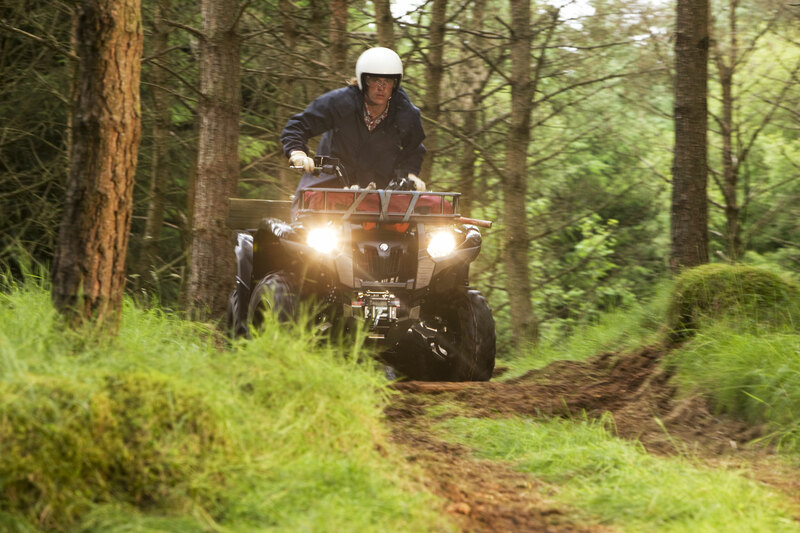 Five-way preload-adjustable shocks provide a controlled, comfortable ride, whatever the load or trail conditions. Four-wheel hydraulic disc brakes serve up consistent, long-lasting braking power under all sorts of nasty conditions. Electronic power steering varies assist according to speed and rpm for increased comfort and incredible maneuverability—even in 4WD. 25×8-12 front and 25×10-12 rear Dunlop® tires provide responsive steering and handling and excellent comfort. LCD instrument display contains fuel injection and electronic power steering information, as well as bar-type fuel gauge, odometer, trip meter, clock and Diff Lock indicator. An analog speedometer shows your velocity at a glance. Center-mounted, heavy-duty trailer hitch comes standard and can tow more than 1200 pounds.